Lawmakers in both the House and Senate are considering bipartisan bills aimed at making it easier for Americans to save for retirement. 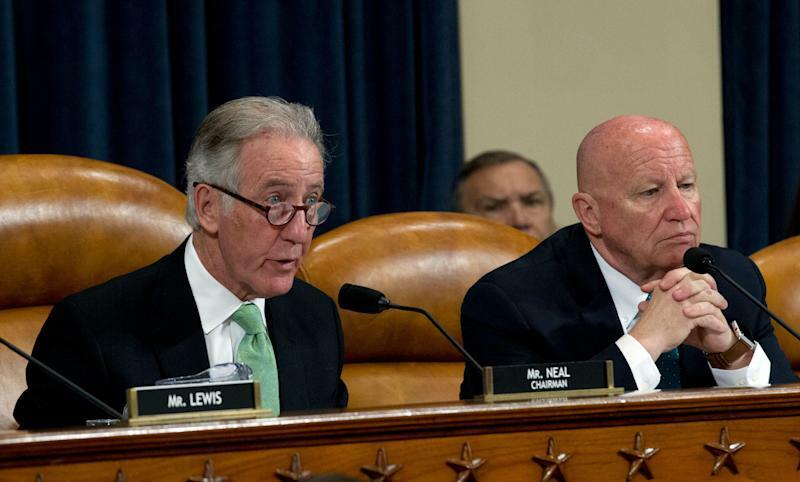 House Ways and Means Chairman Rep. Richard Neal (D-MA) and ranking member Rep. Kevin Brady (R-TX) are cosponsoring the Setting Every Community Up for Retirement Enhancement Act, known as the SECURE Act. The committee passed the bill on Tuesday morning. On Monday evening, the chairman and ranking member of the Senate Finance Committee announced a retirement bill of their own. Sen. Chuck Grassley (R-IA) and Sen. Ron Wyden (D-OR) introduced the Retirement Enhancement and Savings Act of 2019 or RESA. The SECURE Act would allow parents to use 529 savings accounts to cover the costs of some apprenticeships, homeschooling and up to $10,000 of student loan repayments. The bill would also give parents penalty-free withdrawals from retirement plans in the case of a birth or adoption and encourages employers to automatically enroll their employees in retirement plans. In a statement, Neal said lawmakers are taking “bold” action to address the nation’s retirement crisis. “Providing more, and easier, ways to save allows workers to actively plan for their futures and avoid falling into poverty later in life. Boosting Americans’ financial security in retirement supports families and strengthens our economy,” said Neal. Brady said the bill would create opportunity for workers, by helping them make their own decisions about their finances and retirement. “Our reforms will help families save more and earlier for the future, ensuring folks have the flexibility and control over their own savings they need for whatever life throws their way,” said Brady in a statement. “We see those things as promising, but probably not adequate to tackle the scale of the problem,” said Dan Doonan, executive director with the National Institute on Retirement Security. A recent Government Accountability Office report found 48% of Americans over 55 years old had no savings in a 401(k)-style plan or individual retirement account -- though the report notes some of those people did have a pension. That’s an improvement from 52% in 2013. According to the GAO, 29% of older Americans have neither a pension nor a defined contribution plan. Doonan said access to retirement savings plans is a key issue and Americans want lawmakers to do more. He pointed to a NIRS survey that found 84% of Americans think leaders in Washington do not understand how hard it is to prepare for retirement. Grassley and Wyden said their bill would make it easier for for small businesses to offer retirement plans and encourage workers to save. “Planning for retirement is important, yet challenging. The Retirement and Savings Act would help Americans get on the path of saving for a secure retirement during their working years while making sure their savings will last throughout their retirement,” said Grassley in a statement. The senators say RESA would improve multiple employer plans or MEPs, and make it easier for small employers to join together and sponsor a single retirement plan for their workers. The legislation would also repeal the ban on IRA contributions once a worker reaches 70.5 years old. It would lift a cap to make it easier for employers to automatically raise workers’ savings rates past 10% of their income. If the bill became law, employers would have to give workers estimates of how much an account would provide during retirement if it were invested in an annuity. The senators say lawmakers began working on the bill in 2006 and senators have held several hearings in the years since. The Finance Committee unanimously passed a version of the bill in 2016. Lawmakers also tried to make changes to retirement plans last year, but failed to send a bill to the president’s desk.